Lady Grace is proud to be a part of the Greater Boston community. 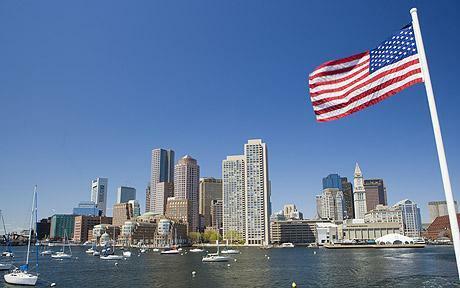 Our hearts go out to the victims of the events at and following the Boston Marathon, and their loved ones. In the face of tragedy, we are incredibly proud and heartened at the response of locals, law enforcement and our nation as a whole. Their good deeds shine light and hope through this difficult time. Congratulations to Jaimie Sylman, winner of our recent Facebook Sweepstakes! Jaimie will receive our best-selling Anita Extreme Control Sports Bra. With three-section cups and arched side sections, it is no surprise that this bra offers supreme support and control as you work out. This bra style also contains multiple technologies that keep you moisture and chafe-free by wicking that sweat away and allowing your skin to breathe. Anita’s Extreme Control Sport Bra is no-joke. You can take part in all of your favorite high-intensity sports in this bra–the girls aren’t going anywhere. Congratulations, Jaimie! Want to enter the next Lady Grace sweepstakes? Visit our Facebook page and make sure to Like us–that way you’ll stay up-to-date on everything that’s going on. From new blog posts, fit tips, fun comics, prizes and contests, there’s lots of extra content on our Facebook page that you won’t want to miss out on.